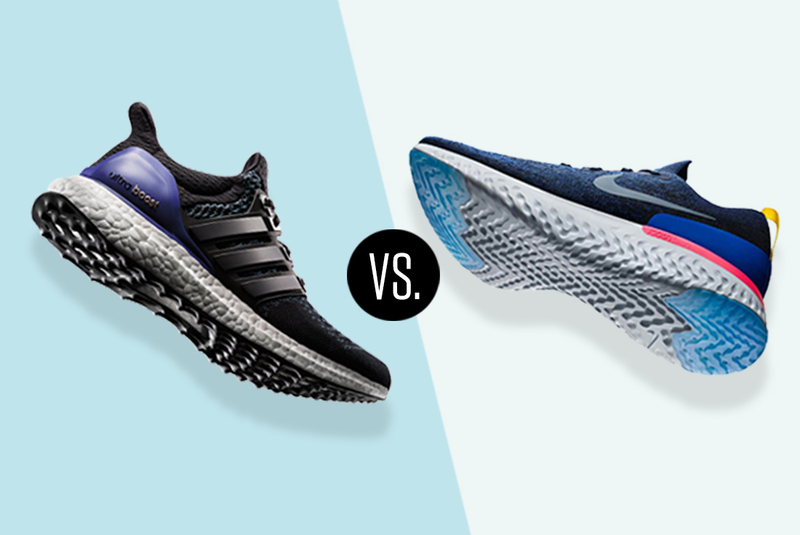 For past many years, adidas’ BOOST has been on top which the boost tech or the design, and we’ve been waiting to see what Nike’s response would be for just as long. We can’t begin to guess the timeframe that the Swoosh work on, but many would posture that no matter how good Nike’s new React may be?Nike will be come back again in the running shoes ? We will check the difference for these two pair of shoes today. In terms of innovation, Nike’s React foam sole is computer-engineered from one single piece of material and has already proven a big performance enhancer in the Hyperdunk 2017 and Jordan Super.Fly 2017 basketball models. A sock-like snug upper made of a stretchy knit, a low ankle cut collar around the ankle bone, and the extended lip at the heel for stability .The Flyknit upper on the Epic React is spectacular. 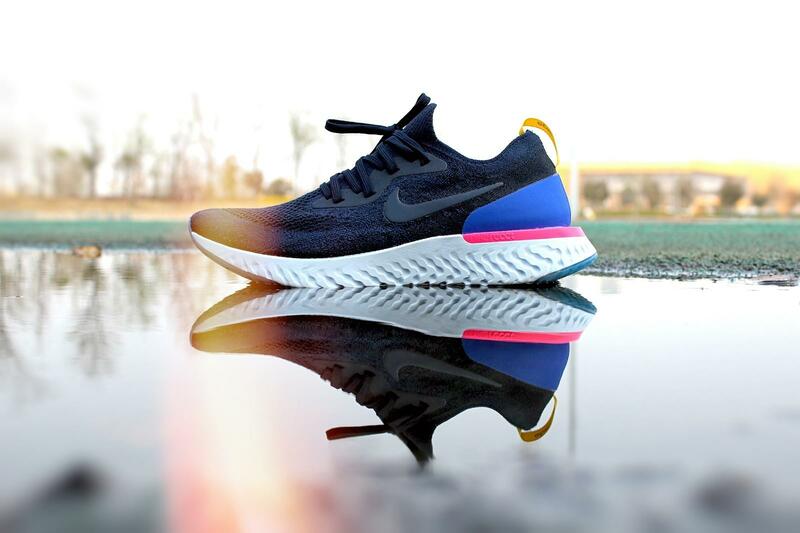 When you first put the Epic React on, it might feel a little snug, but the Flyknit is stretchy and begins to give a custom fit. It is sock-like with an integrated tongue. 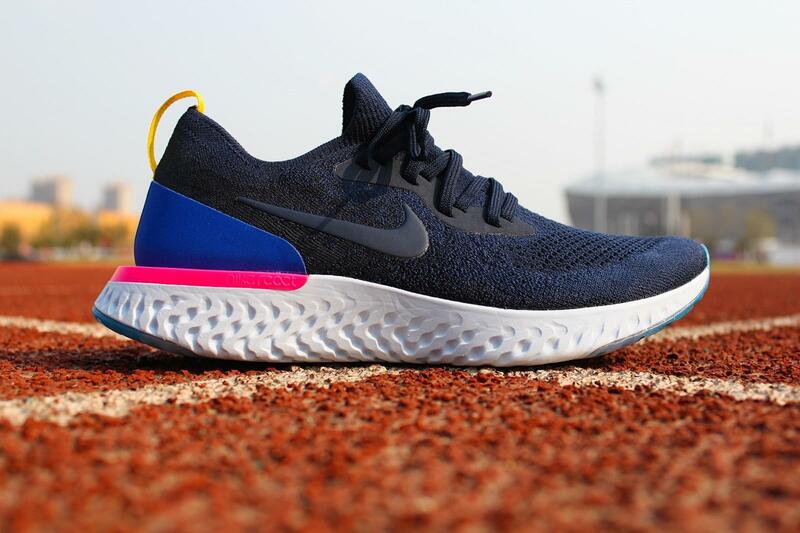 In the runway test, Nike Epic React Flyknit’s performance can be said to be the most amazing of the same type of mid-sole running shoes, followed by a hard TPU design with a breathable woven Flyknit upper, so that the overall support of the running is always in a satbility,especially in the process of turning and deforming in the face of the runway, we can felt the supporting and stability. Nike have had years of R&D to perfect the formula that may topple the adidas tech — an eternity in the lifespan of a sneaker. But adidas tech has been popular in the five year ,now what are the chances that Nike’s React Foam could mark the end of the BOOST era? Foam ?So what is foam ? It’s been the industry standard for well over 30 years development for the EVA, And more recently, the process by which the raw materials are combined, expanded (foamed), and moulded. Now,most of shoes have the choice of using TPU (thermo-plastic polyurethane), which is subject to the same amount of variation. 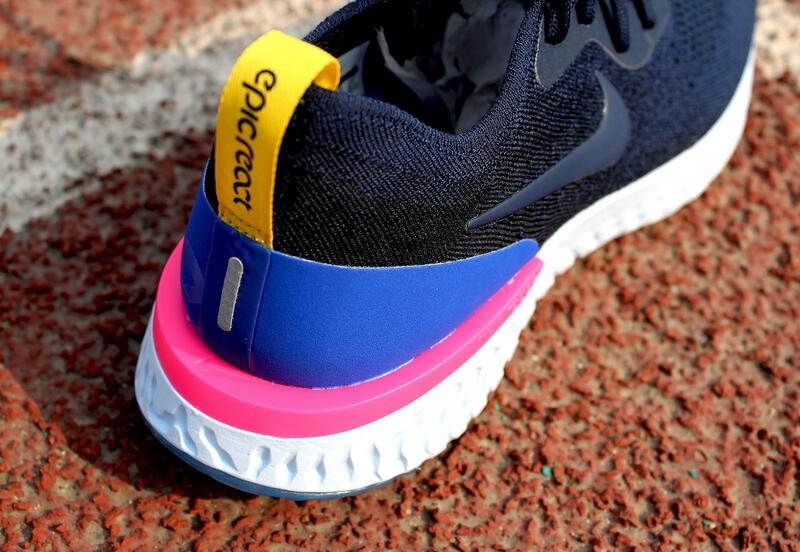 That is the component of Nike Epic React Flyknit. After tested , so the foam, what is the feeling of foam ? firm…and soft? Responsive…and cushioned? It’s hard to explain. 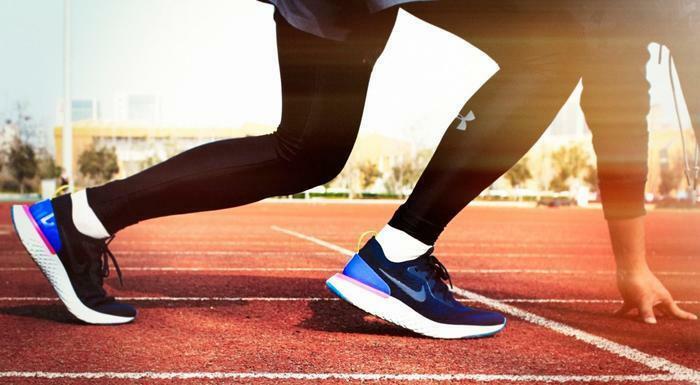 My first two runs in this shoe were not great, as I was recovering from a race and running at a much slower pace, and I have to say that I wasn’t blown away at first. 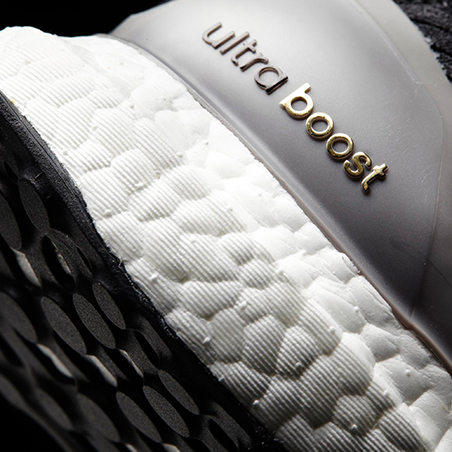 However the boost foam ? 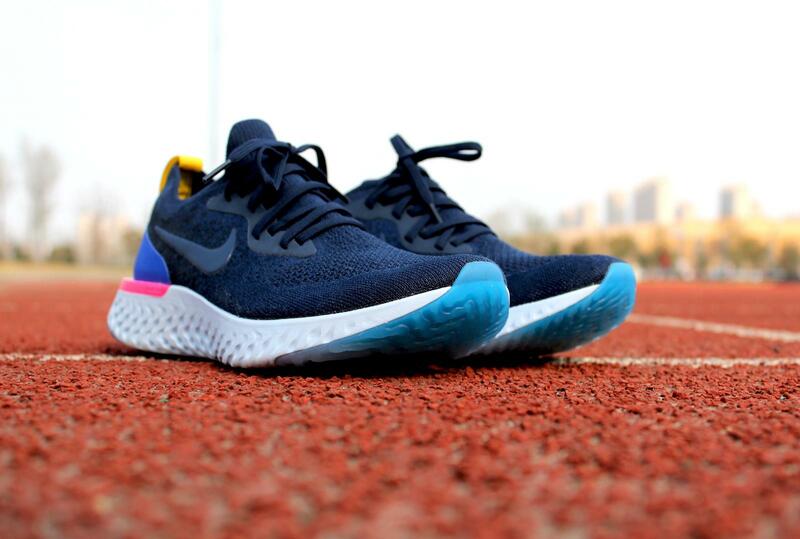 Here we test the boost and Nike Epic React under the affection of steel ball. This experiment is very simple, just look at the degree of deformation of the two materials under the same pressure to see who is softer. 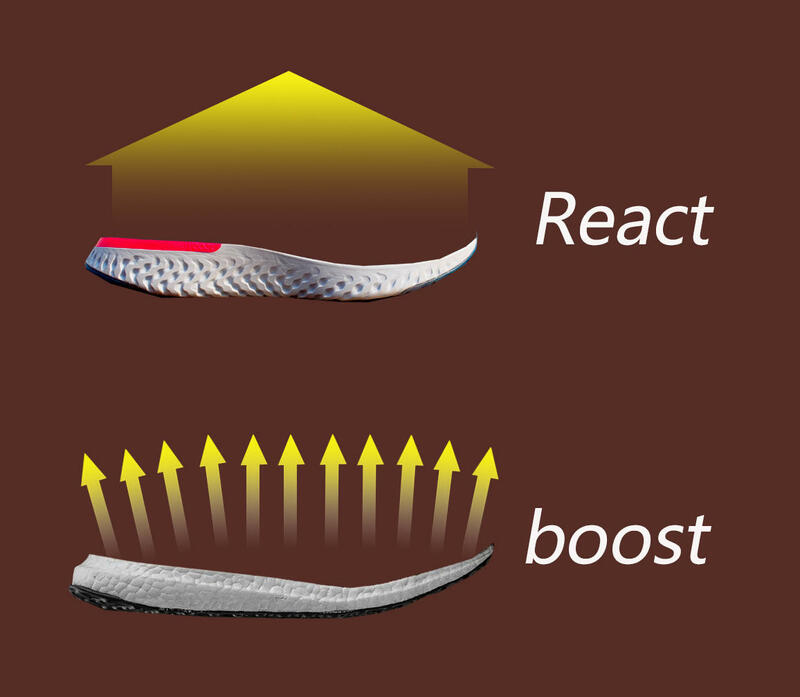 Obviously, under the same pressure, the BOOST material produces a large change in shape, indicating that BOOST is softer. One thing to note: Since there is no rubber layer in the REACT midsole, (the steel ball acts directly on the REACT,but the boost just have a rubber outsole). There is a layer of rubber between the steel ball and the BOOST. However, the boost is still softer. 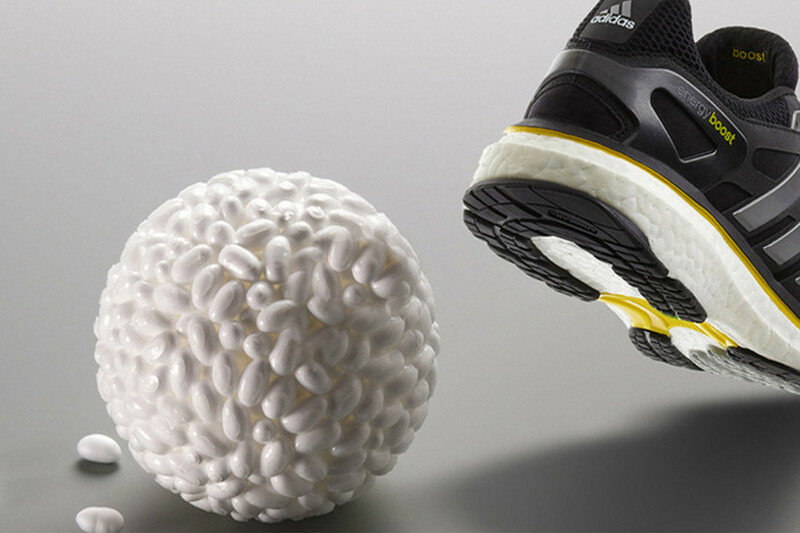 Every BOOST sole is made by squishing together lots of small capsules, allowing each little pellet to retain its own shape and giving the finished sole a precise reaction – something that’s much harder to achieve with a big, single-density slab. The frisky foam first appeared in 2013 on the adidas Energy BOOST. It was such a success that adidas couldn’t make the soles fast enough and soon the world slipped into a global BOOST shortage.Since as production of the core material increase,the shoes followed this kind of tech after then that . Now adidas have taken BOOST to every corner of their footwear empire. 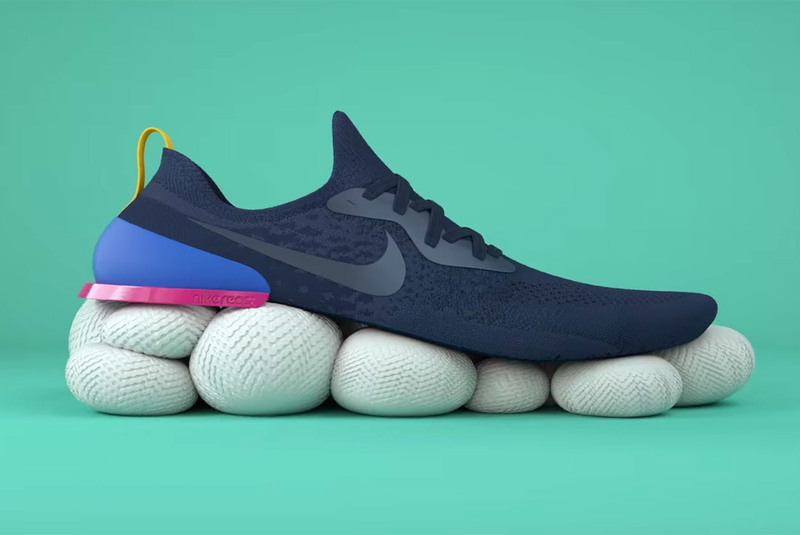 but the Nike’s React foam, on the other hand, was created in collaboration with their athletes, and this foam has been become the core tech in the nike running shoes , meaning that throughout the process they were able to tweak the formula to optimise performance. So who knows which one will be the best ? just choose the one we like !